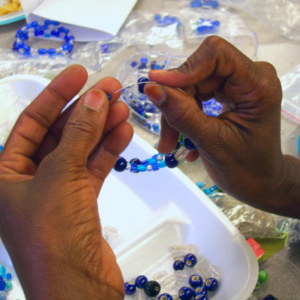 A Little Something is a crafts collective for refugee women living in Metro Denver. 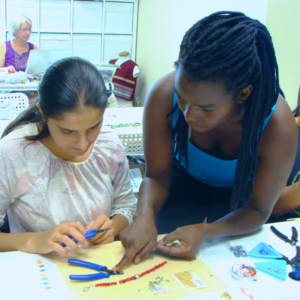 Together, we facilitate empowerment by teaching crafting skills and providing psychosocial support that helps refugee women work toward self-sufficiency while thriving within the creative process. A Little Something empowers refugee women in Denver by developing a supportive network of other artisans and a means to sell the creations the women make. Our participants produce a variety of lovely handmade crafts, including handmade beaded jewelry, handwoven accessories, and knitted items. Participants also learn about financial literacy, teamwork, and basic business principles. Ready to learn more? Make the first move by connecting with this organization. Submitting this form does not constitute a commitment, only interest in volunteering. We will reach out with more information shortly after submittal.